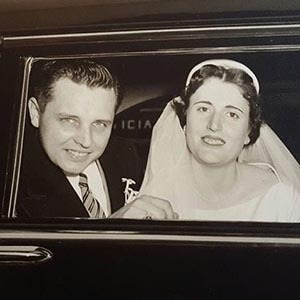 A beautiful transition happened on the sunny morning of March 18, 2019 as Francesca “Fran” Maria Corso DeVito broke the bonds of this earthly veil, opening her eyes in heaven, reuniting with family and friends. Her good works, radiant smile, and beautiful laughter will be cherished by those who knew and loved her. Fran was born August 31, 1928 in Brooklyn, New York and was preceded in death by her parents, Angelo and Paulina Corso her beloved husband Vincent “Vince” N. DeVito, her brothers, Pasquale “Pat” Corso and Francis “Frank” Corso and her devoted cousin “sister” Catherine “Katie” Ponzio. 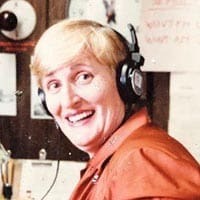 Those who will miss and loved her the most are her daughter, Linda DeVito Kuchenbuch (Skip) of Floyd, Virginia, her son, Steven V. DeVito (Donna), of Bethpage, New York; grandchildren, Lindsay Majewski (Jason), of Bethpage, New York, Nicholas A. Kuchenbuch (Kathleen), of Christiansburg, Virginia, Maria L. Harrell (Zac), of Wilmington, North Carolina, Vinny J. Kuchenbuch of Floyd, Virginia, great-granddaughters, Charlie Gloria and Harper Rae of Bethpage, New York; sister-in-law, Marie Corso, of Ringoes, New Jersey, and nephews and cousins. Special thanks to her caregivers & friends, Sarah Mende, Beth Hendrick, Lisa Priest, Yvonne Lusk and Valerie Croteau, special friends, Ellen B. Vest & Nancy Bell, and neighbors Brenda & Gary Bobbitt. Fran loved flowers and they will be appreciated or donations can be made to Local Multiple Sclerosis Foundations in her name. Visitation will be Wednesday March 20th from 5pm – 8pm at Gardner Funeral Home in Floyd, Virginia.